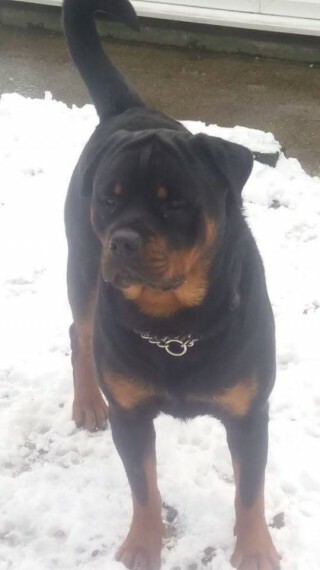 Beautiful example of a Rottweiler .very loving natured comes from a loving home with young children.he already has a beautiful litter of six puppies. kc registered hip scored Please NO TEXTS OR EMAILS AS THESE WILL BE IGNORED. ALL CALLS WELCOME.